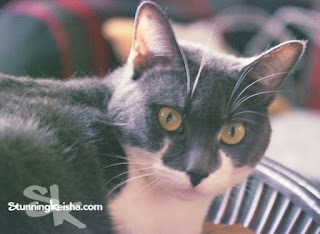 Today I don’t have to do a lot of blog hopping because I already submitted my entry to 52 Snapshots. 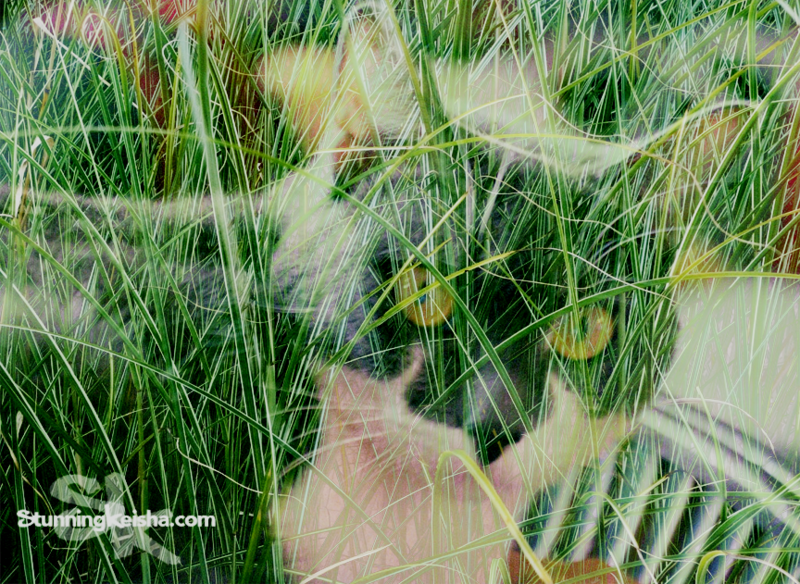 I am participating in the Caturday Art Blog Hop hosted by Athena and Marie. I decided to do something a bit different but nonetheless stunning. You know we believe that indoor cats should stay indoors because of all the dangers that lurk outside in the form of dogs, cars, crazy people who would poison cats, etc. 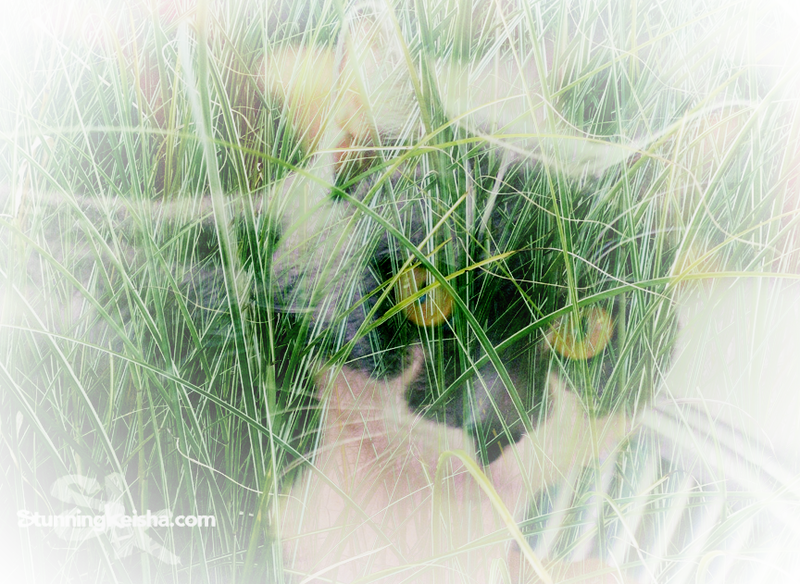 I’m an indoor cat who stays indoors but this week finds me lurking in the tall grass, waiting to pounce on something or someone. Yep, we’re playing around with Photoshop double exposures. One of the actions TW bought was a double exposure action which came with some cool textures. made another layer which we added the double exposure action and than the grass. We played around with the opacity till we got it the way we wanted (below). But it needed something more to make it art so we went with a white vignette border, which you can see above on the final art piece. We didn’t exactly play along with the rules of the action so we made another one following directions this time. We put the original photo in one layer and the grass on another layer. One click combined them both. Here’s what we got. I know I prefer the image above cos I look more like I’m lurking and less like I’m made of grass. Which one do you like best? I know you can get a double exposure with Pixaz and other online photo editors but sometimes it’s fun to pick your own scenery and do it from scratch. 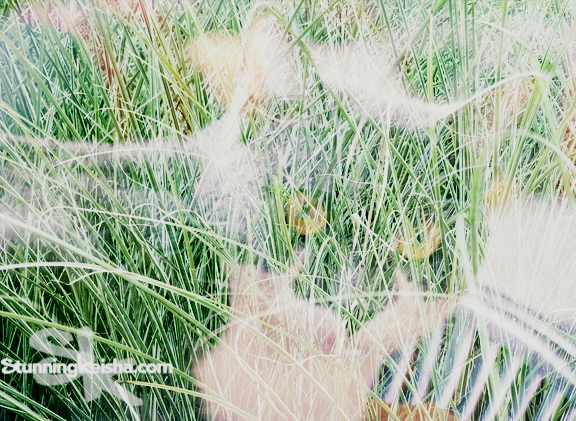 This kitteh likes to control the shots and this grass is making me itchy. Scratch, scratch. Even thought I never left the condo, I’ve been grazing in the grass and it’s been a gas. Anybuddy wanna virtually join me for some fun and games? That's the only way we're gonna get to the grass, too. I think the final photo - the very top one - is great! I don't get to play in the grass either, even though I get to go out in a harness and leash, mainly because most of the grass here is brown! Dearest pal, I haven't forgotten you even I was silent (Stupid Lady was busy playing with rats) but here I am active again. Your photo is so cool, I love its summer vibe. And I will join you anything you want, fun and games sounds super interesting! Oh I love your art images. This is such a cool effect. Really looks like you are in grass! That is super cool CK and you look terrific in green! Beautifully done CK. Love the first one best! That is great art. Phoebe would eat every piece of that grass if she could. We fink they all look cool, but we do like da one dat makes yous look like yous be stalkin' stead of CK made of gwass. Have a gweat weekend. that is one of my all time favorites! CK looks like a jungle kitty!!! You look stunning in the jungle grass, CK ! 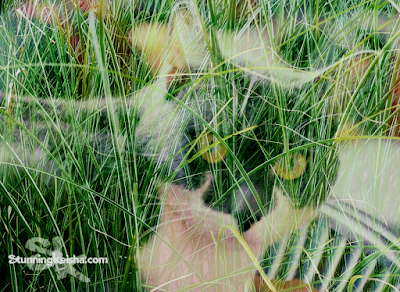 That is such cool artwork...it looks like you're really hiding out in the grass! CK! Yous is a JUNGLE CAT! Mes LOVES! Loves! LOVES this! Yous Rocks! That's just beautiful ! excellent creation ! Looks like you're prowling in the jungle! We like the one in the middle. We would play with mew in the jungle anytime Keisha! Mewz stunning looks would mesmerize the enemy in to submission!! MOL! You look lovely in the grass CK. I have long grass too which is safe from predators and crazy people. Would you like to come and join me? It is lovely and cool in the breeze. So cool, love your Caturday art for this week!